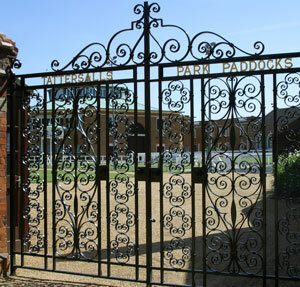 Founded in 1766 by Richard Tattersall, Tattersalls is the oldest bloodstock auctioneers in the world and the largest in Europe. Today, Tattersalls is an international firm offering 10,000 thoroughbred horses each year at 15 sales at either its Newmarket headquarters in England, or at Fairyhouse outside Dublin, in Ireland. At Tattersalls we have a commitment based on more than 200 years of service; a commitment to offer the best thoroughbreds to be found anywhere in the world, and a commitment to the highest standards of integrity and service. Whether they are seeking Classic winners, Champion two year olds, legendary foundation mares or Champion National Hunt performers, we are confident that buyers from more than fifty countries and every continent, will each year find the right sale at Tattersalls. The 9 sales that Tattersalls holds each year at Newmarket include market leaders in every category. Book 1 of the October Yearling Sale is Europe's premier yearling sale with more than 700 yearlings and unrivalled as a source of European Classic and Group winners. In the past decade there have been four Derby winners sold at the October Yearling Sale and all yearlings offered in Book 1 are eligible for the Tattersalls Millions, Europe's most extensive sales race series. Books 2 & 3 of the October Yearling Sale follows 4 days later followed by the Autumn Horses in Training Sale, the largest sale of its kind in the world. The Tattersalls sales season culminates with the two week long December Sale of breeding stock, foals, and yearlings, which is widely regarded as the world 's most international thoroughbred sale. Completing the Tattersalls sales portfolio are the February Sale, established as Europe's premier midwinter sale, The Craven Breeze Up Sale in April, which sets the standard for European two year olds in training sales, the Guineas Breeze Up and Horses in Training Sale in May and the ever popular July Sale which combines breeding stock with quality horses in training.